Michelle and Jayne are the Disney Dream Girls; together they are your guides to the place where dreams begin. Whether it is Walt Disney World, Disneyland Paris or The Disneyland Resort they aim to entertain and inform with fun features, planning tips, park history, guests interviews and reviews. If you want a show that enthuses about the fabulous food and amazing attractions of the Disney theme parks; this podcast is for you! On this week's podcast, Michelle is joined by Deborah Wolfe to talk about booking hard ticket events (to gain access to the parks early), Run Disney and planning a trip on the Disney Cruise Line versus other cruise lines. We sure hope you enjoy our chatter and invite you to give your opinions on our Facebook page - find the Disney Dream Girls on Facebook. If you want to find out more about the show, you can find pictures and show notes available on our website Disney Dream Girls Podcast. You can also subscribe via iTunes to ensure you never miss a show and also, whilst there, why not leave us an iTunes review? 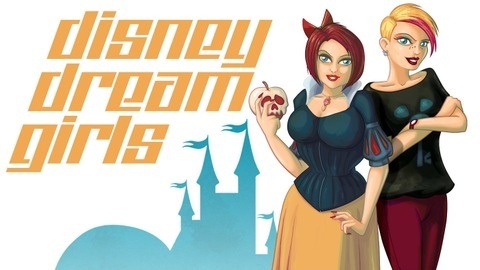 Click here for the iTunes page for the Disney Dream Girls. For extra podcasts and to support the show financially, why not visit our Patreon Page. To find our good friend and DLP Dream Girl Liz Read and her You Tube Channel - visit Fairy Godmother. Dis After Dark Podcast, find them in iTunes Dis After Dark on iTunes.